Femi Fani-Kayode, Former Minister of Aviation has blasted President Muhammadu Buhari over Bill Gates’ statement on Nigeria’s economic plan. Bill Gates at the expanded national economic council presided over by Vice-President Yemi Osinbajo said that President Buhari’s economic recovery growth plan (ERGP) does not truly reflect the needs of Nigerians. “The Nigerian government’s economic recovery and growth plan identify investing in our people as one of three strategic objectives. But the execution priorities don’t fully reflect people’s needs, prioritising physical capital over human capital,” Gates had said. 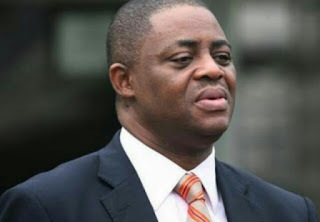 Fani-Kayode, reacting, called Buhari a disaster.